In emergency services, a rescue saves a living person or creature. However, people and animals aren’t the only living things in need of help. Ash trees across the U.S. need protection against the emerald ash borer, a small beetle native to eastern Asia. In some states, such as Colorado, the emerald ash borer (Agrilus planipennis) has inflicted such extreme damage that entire stands of its favorite food—ash trees—have been decimated. Property owners are making tough decisions about how to manage their lots and home landscaping as this fiendish pest makes its way across the states. Experts and officials urge every property owner to help identify and eradicate the emerald ash borer (EAB). If citizens track the beetle, treat trees before they’re infested, and destroy trees that have become beetle food, some trees may be saved. There are four ways you can help. When it comes to the emerald ash borer, there’s a near certainty that a heavily infected tree will die. But there are other issues with trees that can mimic ash borer damage. You may be able to treat these issues without sacrificing any trees. But you need an experienced arborist to tell the difference. Treatment options for the EAB vary, and they’re often regulated by local ordinances or official emergency conditions designed to control the EAB. Some counties may even have strict quarantines in place with rules governing issues like transporting infested debris and trees. Trust an experienced arborist to diagnose, treat, and dispose of the ash borer–infested waste properly. Professionals who work with trees every day are on the front lines against the EAB, so they can advise you best when it comes to ridding your property of this insidious insect. Arborists will know best when a tree can be saved. There are several treatment options available for ash trees. For example, the soil around the base of the tree may be treated. Also, the tree itself may receive injections to kill the bugs from within. Your arborist may treat the soil around the tree’s base by drenching it with a liquid solution of chemicals. Treatment may also involve injecting insecticide directly into the soil. The roots absorb the treatment, and then the tree’s system spreads the chemical throughout the tree. Trunk injection is a good treatment solution for trees located where soil treatment isn’t a good option. If a tree is in a wet, sandy, or compressed location, soil treatment may not be effective. Trunk injection involves drilling through the bark and outer sapwood to deliver the “medicine.” This method works more quickly than soil treatments. Treatments that prevent EAB infestation must be applied once or twice a year in order to remain effective. If you live anywhere that’s vulnerable to the EAB, you’ll need to continue treatment for the life of your ash trees to ensure the beetle never takes hold. Wide-ranging, successful biological controls haven’t been identified, and in some cases such controls would involve introducing additional non-native species. Experts are naturally reluctant to use that solution. Once an ash tree is infested, you may be able to save it if the damage is caught early and treatment is started at once. 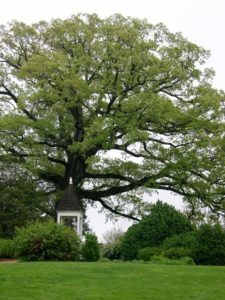 Arborists make their best calls on the likelihood that any given tree will survive, but you must understand that there is never a 100 percent guarantee once the beetle lands on your property. If you don’t remove infested trees, you can be an unwitting helper to the EAB. It’s heartbreaking, but millions of trees have already been lost to the beetle. Some property owners must destroy 35 acres or more of ash tree forests. The cost of treatment is too high with hundreds of trees to consider. But such heroes are considering their neighbors when they chop down huge swaths of ash groves. Property owners who destroy their ash trees aren’t letting their land become a way station for the beetles to feed, breed, and grow stronger. There are many suitable replacements for ash trees. Some communities are planting cherry and crabapple trees. Other communities are planting Osage orange, Kentucky coffee tree, elm, and oak trees. If you want the traditional autumn yellow or orange color, pick a maple or a cottonwood with the same golden and blazing fall hues. You should plant a mixed tree assortment to replace a large number of ash trees. That way, any future invasive species don’t wipe out your entire landscape. You can also help habitat like bees and hummingbirds when you have trees that flower at different seasons. An experienced local arborist can help you choose the best replacements for your damaged or vulnerable trees of any variety. Trust Schulhoff Tree & Lawn Care, Inc. to help you manage, rescue, and recover your landscape from EAB and any other damage.